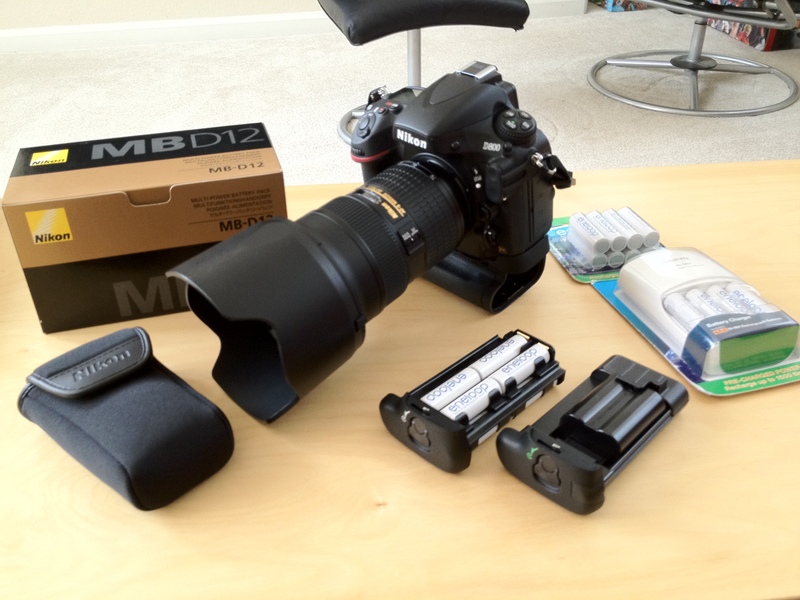 I received the battery grip for my D800 today! This grip accepts a second EN-EL15 battery, 8x AA batteries, or an EN-EL18 (D4) battery. In order to achieve 6fps, I have to use AA batteries or an EN-EL18. I decided to buy a set of Sanyo Eneloop rechargeable Ni-MH batteries. I have an extra EN-EL15 but it will only give me 4fps. So you probably noticed that I have been posting a lot of info on my camera gear and you are probably wondering why I haven’t posted any sample shots. Well just after my last blog post, my iMac crashed and I was unable to recover it! It is currently at Apple for repair. They will be replacing the main logic board, video card, and power supply. Thank god for Apple Care extended warranties! My $250 investment into their 3 year warranty paid off! Parts and labor would have cost me over $900! I won’t be getting my computer back until next Tuesday at the earliest. In the meantime, the bulk of my computer time has been on my new iPad. I have taken a few shots but I don’t want to go through the hassle of setting up my Racing Rig PC to process my photos. But from what I have seen on camera, the IQ of the D800 is like nothing I have ever seen on a DSLR. The images are amazing and the low light performace is out of this world! It’s not worth trying to explain so hopefully I can get some shots posted very soon! This entry was posted in Apple, Apple iMac, Nikkor Lenses, Nikon, Nikon D800, Nikon D800E by itcrashed. Bookmark the permalink.